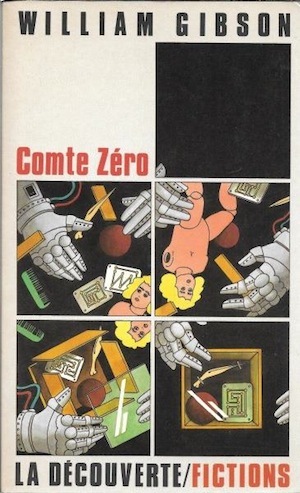 By now it should be obvious to readers of this series that science fiction is a virtual cornucopia of only loosely camouflaged great Weird Fiction. 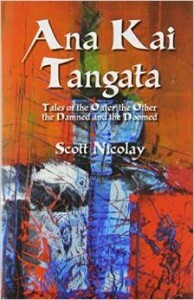 Without its own literary ecosystem to occupy during the previous century, The Weird quietly, patiently extended its mycelia beneath the leaf-littered forest floors of science fiction, fantasy, and mainstream modes alike, infiltrating their various oΐkoi with utter disregard for critical taxonomy. Now that its fruiting bodies are bursting forth all around us in a Weird Renaissance, we can finally take some measure of its full expanse. 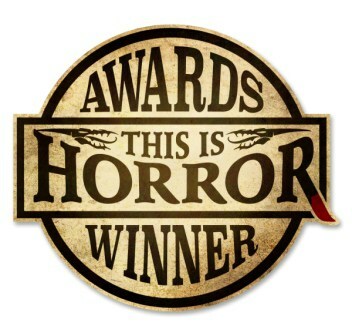 Here at Stories from the Borderland we specialize in spotting and plotting those loci where weirdness has long since spread beneath the surface, and we work like tireless truffle pigs, snuffling up the treasures we deliver you on our finest silver serving ware. This week’s fungal entrée comes your way with a side of brains. So it is once more that a seemingly inconsequential little tale that Michael Bukowski and I have chosen for Stories from the Borderland turns out to be far more important than we ourselves anticipated. No, this is not confirmation bias. What even we thought was hardly more than a goofy one-off turns out to be the point of entry to a central set of leitmotifs stretching throughout the work of a certain major science fiction author like the hidden beads of a buried rosary. 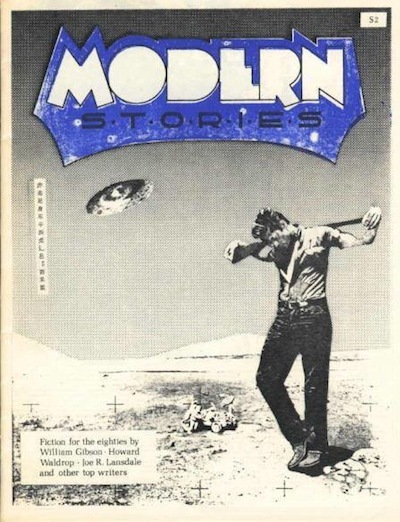 Lewis Shiner first published William Gibson’s “Hippie Hat Brain Parasite” in 1983, in the debut issue of the fanzine Modern Stories. 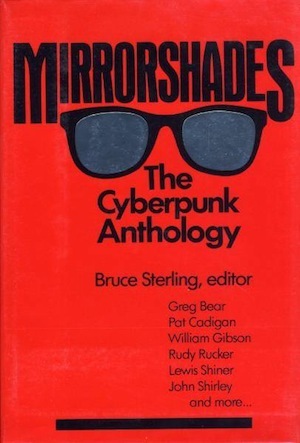 In his introductory “Editorial,” Shiner frames the contents as transgressive, at least in relation to the commercial publishing industry: “I also went to some other friends who had always been pushing against the limits of taste and predictability and asked them for unpublished stories, the stuff they would take straight out of the typewriter and put into the filing cabinet because they knew it would never sell.” Although nowadays Gibson could probably sell his grocery lists to WIRED, “Hippie Hat” has only been reprinted once, in the 1989 all Science Fiction issue of Semiotext[e] SF edited by Rudy Rucker, Peter Lamborn Wilson, and Robert Anton Wilson. 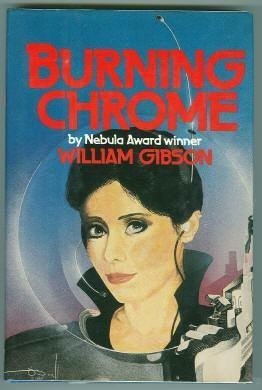 After that it seems to have gone back into the author’s filing cabinet: it was the only published story not included in his 1986 collection Burning Chrome, and it remains one of his most obscure works of fiction. To give blame where credit is due, we owe author and editor Edward Austin Hall for bringing this story to our attention during a panel at The Outer Dark Symposium on the Greater Weird in Atlanta on March 25, 2017. The title of the panel was “Not Another Bug Hunt: The Weird Monster” (listen here.) and the panelists (in addition to Ed and moderator Daniel Braum, they were Orrin Grey, Anya Martin, Eric Schaller) had my full attention from the get-go, but my mental nose flared wide open when Ed mentioned this story (Did he say William Gibson? Did he say Brain Parasite?!). Luckily when we all got back to Anya Martin’s house, our base camp for the event, she had a copy of the relevant issue of Semiotext[e] front and center in the big bookcase behind her living room sofa. I remember messaging Michael shortly after, and that he came on board with this one as soon as I told him the title. Obscure as it remains, “Hippie Hat Brain Parasite” is not altogether an isolate in Gibson’s oeuvre. 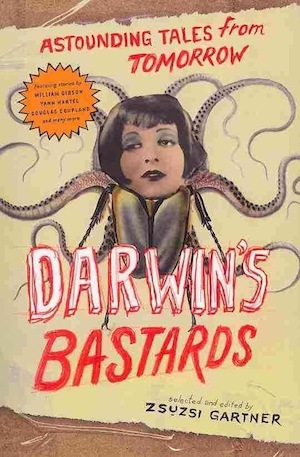 As in “Dougal Discarnate” (Darwin’s Bastards, edited by Zsuzsi Gartner), his most recently published standalone short, the protagonist is “Bill,” a thinly fictional analog of the author himself. 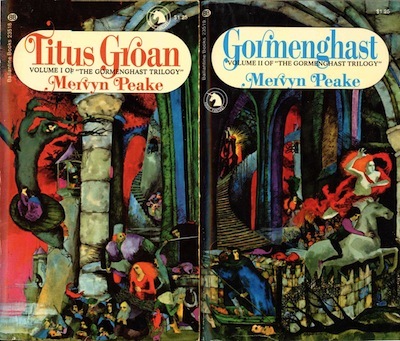 And the story shares its other main character, the Fortean investigator Mervyn Kihn, with one of Gibson’s earliest and best known shorts: “The Gernsback Continuum (Universe 11, edited by Terry Carr).”1 Critic Thomas A. Bredehoft utilizes this character to connect these two ’80s tales and examine them as background to Neuromancer in his essential 1995 essay, “The Gibson Continuum: Cyberspace and Gibson’s Mervyn Kihn Stories.” All three stories share a common set of interests and a similar prose style, and we could refer to them collectively by Bredehoft’s label if only they all three shared Mervyn Kihn. “Hippie Hat” is therefore important first of all as the pivot that connects “Gernsback” and “Dougal” in a sort of secret embedded mini-triptych that spans most of Gibson’s career. Bredehoft’s goal is to identify the “central semiotic ghost” or “crystal engine” 2 at the heart of Gibson’s work. His essay is excellent, and my efforts here are mostly just a gloss on his. He also deserves special credit for avoiding the standard but entirely-too-easy interpretation of “The Gernsback Continuum” as a straightforward putdown of “classic” science fiction, a sort of feint before the knockout blow of Neuromancer. Instead, he frames all three works as a warning about the risks of prolonged escapist retreat into other worlds: “the danger of convincing us to mistake escape for liberation and the danger of mistaking wishful thinking for reality”(14). The crystal engine at the heart of Bredehoft’s essay is his argument that the crystal engine at the heart of Gibson’s ’80s fiction is his concept of cyberspace as “consensual hallucination.” Though his presentation of Gibson’s catalog of illusory retreats incorporates “Golden Age” science fiction (the strand that runs from Gernsback, through Campbell, to its current attenuated form grasped at by various juvenile canines), it is expansive enough to include futurist projections of cyberspace/virtual reality as well as the hallucinogenic drug trips of the then-still-recent psychedelic era. The latter seems to have provided Gibson with his first representation of the “worlds behind”3 and the doorways that open onto them. That description seems an unusually visceral one not only for William Gibson, but for cyberpunk in general. 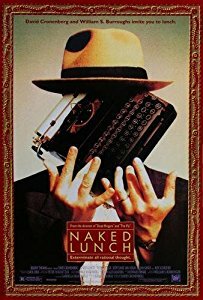 It arguably verges on body horror, and Gibson’s parasitic hat finds a visual echo a few years later in the insectoid talking typewriter from David Cronenberg’s 1991 film adaptation of William S. Burroughs’ Naked Lunch.7 Though body horror is probably not the cultural real estate where most readers immediately situate Gibson’s oeuvre or any part of it, I would argue that his interests do indeed run some fiber optics under that turf. In fact, he develops body horror elements much more explicitly in Count Zero, in which the primary antagonist, Josef Virek, is a sprawling mass of Burroughs-esque “undifferentiated tissue” who could easily be a character directly out of Clive Barker’s Books of Blood. 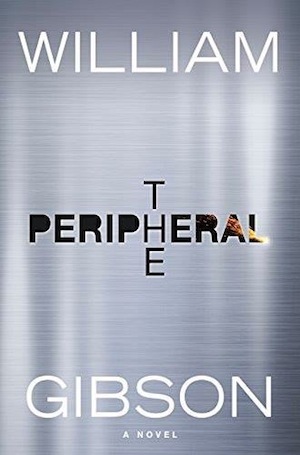 Virek, a figure who literally occupies the narrative center of the Sprawl Trilogy, exemplifies another facet of Gibson’s crystal engine: the potential separability of mind and body as software and hardware. In his desperate quest to escape his runaway flesh and cheat death, we can recognize the ultra-wealthy Virek as a further iteration of Neuromancer’s Tessier-Ashpool family, who pursue their collective immortality via cloning and consciousness-storage/uploading. Gibson employs these characters and this theme to join the famous exchange between Fitzgerald and Hemingway regarding the différance of the very rich [a conversation that never really happened…or didn’t really happen and then it did]. Here Gibson completes the syllogism begun by our literary forebears. In his logical synthesis the very rich are indeed very different from you and me: they are no longer human,8 or at least they no longer will be as soon as the opportunity to abandon their humanity falls within their technological and financial means. The relationship between emerging technologies and the evolution of the mind/body division, which serves as the driving force of the Sprawl Trilogy, finds its historical antecedent chez Gibson in the shared psychedelic experience of the ’60s. Kihn references it in “The Gernsback Continuum” when he asks the protagonist: “I’m sure you’ve taken your share of drugs, right? How many people survived the Sixties in California without having the odd hallucination?” The connection becomes explicit in “Hippie Hat Brain Parasite” as Kihn explains the parasite’s mechanisms of mimicry and infiltration: “They must’ve spread out from Haight-Ashbury, see, and now they’re in those pocket areas of Sixties hipcult holdouts. You get some of these dudes in off the commune, man, they look pretty zombied-out anyway. Perfect. Perfect cover. Like stick insects.” (111) The glimpse Kihn catches of the separation of mind and body as parasite and host recalls the Rykors and Kaldanes of The Chessmen of Mars, that iconic novel from the pre-Gernsback (and technically pre-science fiction) era of science fiction by the other Burroughs: Edgar Rice. This motif of the hallucinogenic trip as the model for the division of mind and body becomes fully incarnate in “Dougal Discarnate” as the titular character experiences an irreversible episode of autoscopy following a Halloween night acid trip in 1972. Dougal’s mind and body go their separate ways altogether, much like Major Kovalyoz and his nose in the famous Gogol story. 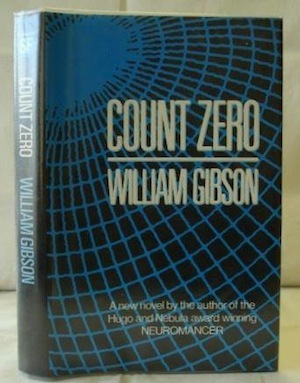 In his second series of novels, the Bridge trilogy, Gibson presents Colin Laney, a character whose drug-induced neural damage gives him the ability to identify “nodal points” of the future in the present, an ability which Gibson has explicitly acknowledged as descriptive of his own process as a “futurist” writer. It was not his first attempt to offer a metaphor for the way he makes art: Virek’s holy grail in Count Zero is an AI that fashions Joseph Cornell-style boxes on an abandoned space station. The black box or hidden crystal engine of Gibson’s work is the nodal intersection of hallucinations that are not always consensual with the invisible city. 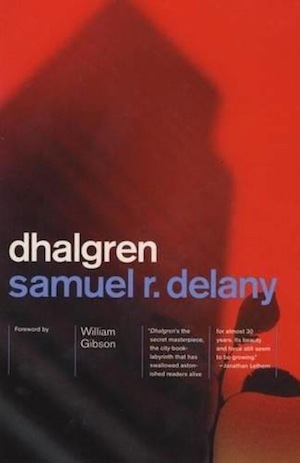 Access to this city always comes at a physical price, and except perhaps in the Dhalgren intro, it cannot be entered bodily. “Hippie Hat Brain Parasite” reveals this engine in its rawest form, as a brain-eating Burroughs-esque alien, but much of Gibson’s early work is about the somatic danger of too long a sojourn on the other side. It is interesting to consider his supposed break with the rest of science fiction in this frame. 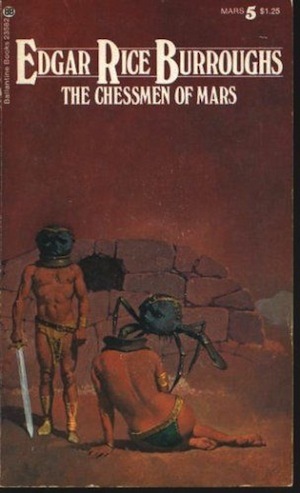 Certainly “The Gernsback Continuum” does position Gibson’s oeuvre as a critique of earlier forms of science fiction in the same way that Don Quixote is a literary critique of the voluminous romances that preceded the novel. Science fiction is a hat that Gibson never fully removes however, though he tips it from time to time to reveal the wriggling creature that lurks beneath it. 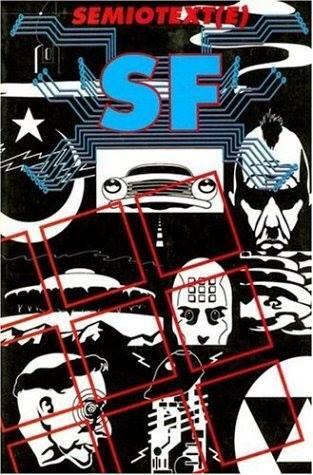 Like the Lost Generation, science fiction’s New Wave, and the New Weird, Cyberpunk was an ephemeral and generational city that briefly transcended its foundations and dissolved before anyone actually pinned it under the label it now bears. No point in looking under that rock anymore; neither rabbits nor horseshoe crabs remain in that hat. The stories remain however, though some are buried more deeply than others. 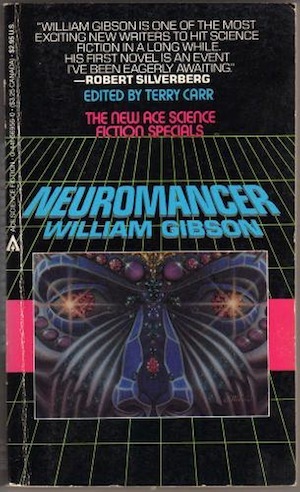 If Neuromancer is Gibson’s (and Cyberpunk’s) answer to The Great Gatsby, then “The Gernsback Continuum” might be his “The Crack Up”…and “Hippie Hat Brain Parasite” his “Bernice Bobs her Hair.”11 Most importantly, both stories are also artifacts of Weird Fiction, tales of hidden worlds, of the multiverse, of that unstable reality continually leaking into our space.12 Considering not only this story but all or much of Gibson’s oeuvre as a nexus of hallucinatory other worlds, transhumanism, and body horror allows us to identify The Weird in the world behind his work. 2Bredehoft derives his “crystal engine” metaphor from the phrase “exotic crystalline thing,” which Gibson used to describe his pre-disassembly envisioning of the hard drive inside his first computer in an important 1986 interview with Larry McCaffery. 4Probably Joe Mama’s Restaurant, formerly in the Pueblo Alegre Mall south of downtown, which died with the ‘80s. 5In Gibson’s/Kihn’s description: “Wide still brim, high crown, cut out of a sheet of Tandy cowhide and laced together like a Boy’s Life project.” I remember these hats as ubiquitous right around the end of the ’70s and disappearing almost entirely by the time I graduated high school in 1981–I suspect due to the widespread closure of the once equally common head shops. I initially had difficulty even finding images of one to show Michael, but fortunately director Richard Stanley wore one to NecronomiCon 2017, so all I had to do was point to him. 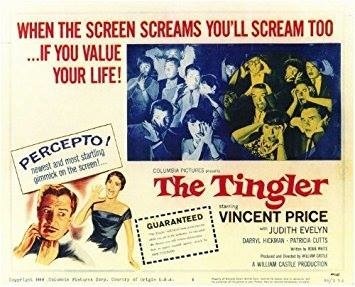 6Neuro-parasites were also part of the cinematic zeitgeist during Gibson’s formative years, notably William Castle’s 1959 film The Tingler, and the 1958 British thriller The Fiend Without a Face. 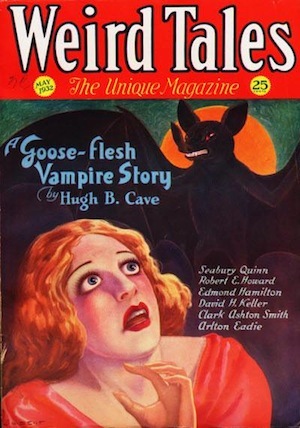 The latter was based on a 1930 Weird Tales story by Amelia Reynolds Long, “The Thought Monster.” Note that Long’s story preceded Smith’s “Yoh Vombis.” As a note on this note I should note that although a neuro-parasite seems an obvious fit for Gibson, “Hippie Hat” also stands out as one of only three references to extraterrestrials I can identify in his work (along with “Hinterlands” and the denouement of Neuromancer). 7Appropriately, as Burroughs is one of the three B’s Gibson acknowledges as direct influences. The other two are equally obvious. Neil Stephenson later employed Burroughs’ famous statement “language is a virus from outer space” as a fundamental premise of his 1992 novel Snow Crash. 9Bredehoft successfully frames Gibson’s language as an intersection between science fiction and the psychedelic experience: “Barring the references to data and computers, this description could just as well be applied to the famous “acid trip” sequence near the end of Stanley Kubrick’s 2001: A Space Odyssey; cyberspace is, in many ways, indistinguishable from the ‘inner space’ supposedly made accessible by LSD.” What Bredehoft misses here, and which would have braided his case even more tightly, is that this is also a description of the scene in the film immediately preceding the “drug trip” (and which the latter scene visually echoes), in which Dave Bowman enters the guts of HAL the AI and deactivates him by removing the crystalline components of his “logic memory center.” It is arguable the most Gibsonian scene in cinema to date. “What’s the dope on Timothy Leary? Got his name all over the place. “LM: What was the inspiration for your cyberspace idea?